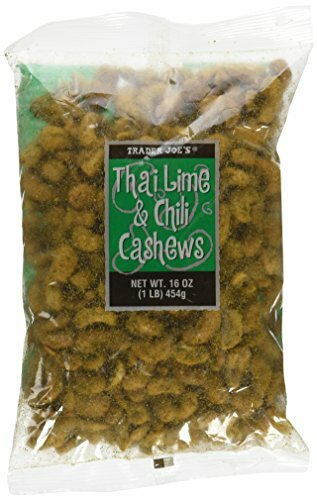 Thai Lime and Chili Cashew. This legendary heat associated with Thai food is often accompanied by the distinctive flavor of the leaves of Thai lime tree. This specific light citrus-y flavor can not easily be duplicated with any other citrus. The juice can also be used, although this cashew product, made for us n Thailand, uses only the flavor from these very special leaves. We have combined the Thai lime with piquant chilis to create an authentically Thai flavored treat. Enjoy these delicious nuts as a satisfying snack, or coarsely chopped to top salads or Asian flavored rice dishes. Keep something to drink nearby.